Kitt's World: I thought I was done with Halloween. Not!!!! I thought I was done with Halloween projects. Not!!! 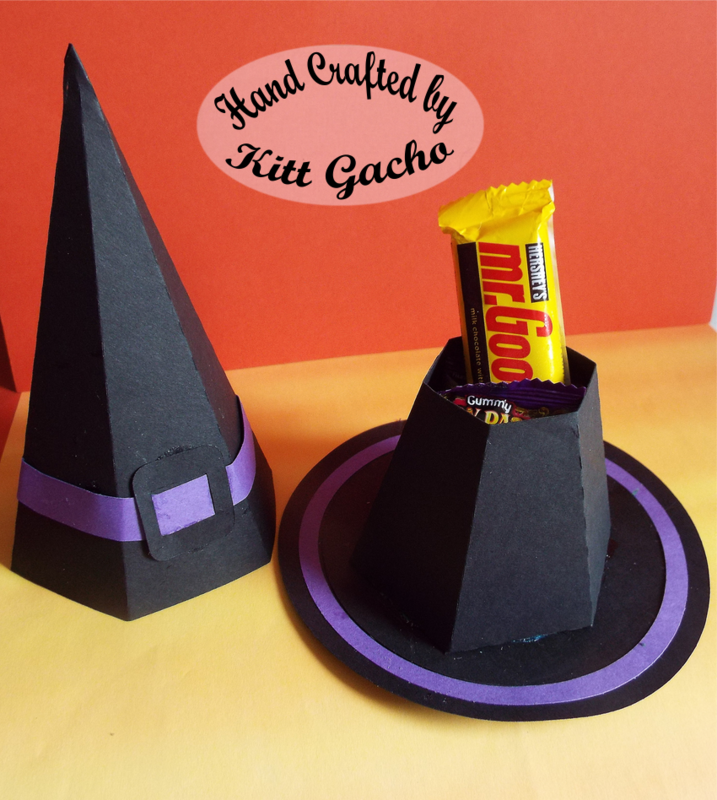 I had seen this witch treat hat box from the Silhouette Store. DH is going to work tomorrow so I will have him bring a couple of these in for his co workers. These were fast and easy to make. I may do one more Halloween card. Stay tuned to see if I have one more Halloween project in me. LOL. Thanks for stopping by and leaving your comments. I look forward to hearing from you. Have a happy crafty day. OMG what a fabulous treat holder! I'm sure the recipients will be as thrilled with the container as they are the goodies inside! LOL! Thanks so much for playing in our challenge at 613 Avenue Create! We hope you’ll come join us again real soon! Great job! Such an unusual treat holder, fantastic idea! Thanks for playing at AAA Cards. Such a cute treat box. Saw this on 613 Avenue Create and had to stop by. Thanks for sharing. What a super fun project!! Thanks for joining in at AAA! Fabulous Halloween project...Thanks for playing along with us Di's Digi Designs Challenge. Wow!! That is wonderful LOL!! I wasn't expecting the top to come off and reveal goodies!! YUM!! Thanks so much for playing along with us at Open-Minded Crafting Fun Challenges!!! Good Luck! I hope we see you again!! What a cute little hat!!!! Love that! Great make, fab design. Thanks for joining us at AGOAC. Good Luck! 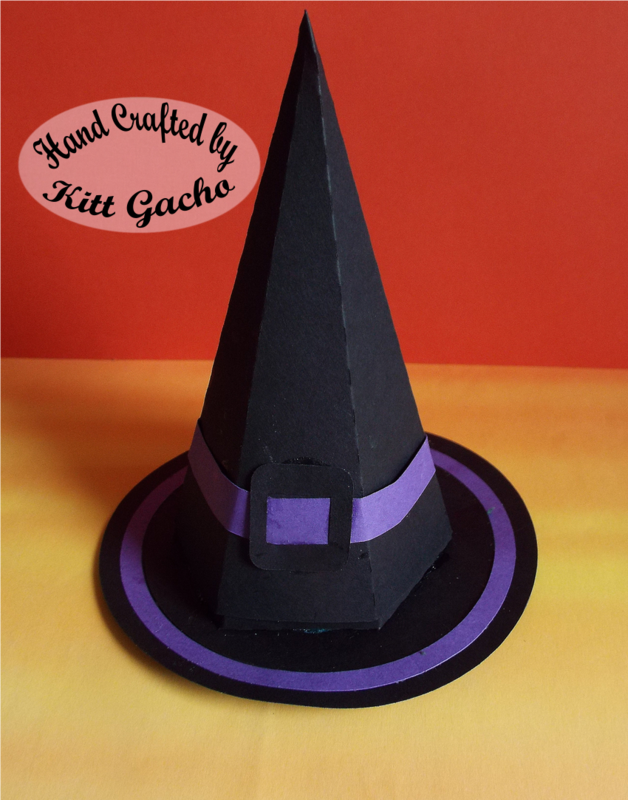 What a fab Halloween project, Kitt - and a great little gift too. Thanx for sharing with us at Fantasy Stampers, but as we are a 'stamping' challenge I am unable to consider your project for our Top 3. Would love to see you again with your stamps.